Nearly a year and a half has passed since the Erebonian civil war, and much has changed since then. From the shifting stances of countries to the internal politics of the Empire, and even the life of Rean Schwarzer, the shadows of the past have given way to the embers of a new chapter. Now graduated from Thors Military Academy, Rean has become an instructor at the Thors Branch Campus, a newly-opened academy that quickly finds itself thrust onto the national stage. It is here that he takes the lead of a brand new Class VII, and must guide a new generation of heroes into an unknown future. Though all is calm now, the nefarious Ouroboros organization continues to weave a dark plot that could engulf the entire continent in war...or perhaps something even more sinister. Trails of Cold Steel III invites players into a world full of intrigue and excitement that is years in the making. 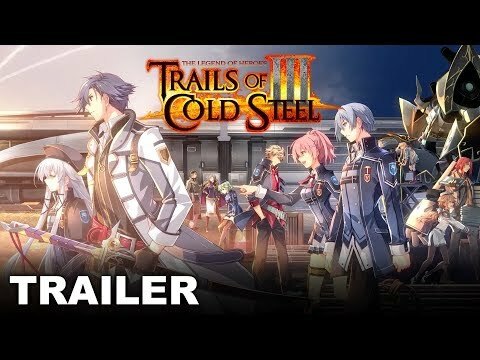 The upcoming The Legend of Heroes: Trails of Cold Steel III PS4 release date is Q4 2019 in the US and the UK. Notify me when The Legend of Heroes: Trails of Cold Steel III PS4 is available.